CHINA has flown in a small army of workers on diplomatic visas for a highly secretive project to build its new embassy in Canberra. Immune from local laws, the builders are toiling away on the new mega embassy behind high steel walls designed to keep out prying eyes. The extraordinary project – a few blocks from Parliament House – ensures the building will not be bugged as its consulate was when it was built in the early 1980s. There is talk of a tunnel linking the buildings, but Chinese and Australian officials remained tight-lipped. An embassy liaison officer, who gave his name as Dan, referred questions to the Department of Foreign Affairs and Trade. “I can’t tell you anything regarding this project,” he told The Sunday Telegraph. In an hour on Friday morning, two vehicles – supplying cement and gas bottles – entered the site, which is obscured from most sides. Officials sought to film The Sunday Telegraph’s visit. Meanwhile, the project’s secrecy has prompted concerns over worker safety. Union and ACT government representatives are barred from the site and there appears little they can do to ensure no one is injured or killed. There appears to be grounds for concerns. The Sunday Telegraph observed six workers moving across a roof three levels high wearing no safety harnesses for protection. Steel fencing was hung near a public footpath before being bolted into place, but prone to collapse in a gust of wind. Dean Hall, ACT secretary of the Construction Forestry Mining and Energy Union, has tried to enter the site. He is worried the Chinese are routinely breaching safety standards and is also concerned Australian workers who supply concrete and other materials will not be covered in the event of an accident. But DFAT had earlier told Mr Hall there would be no interaction between Chinese and Australian workers. Mr Hall is angry that he cannot check workplace safety because China has struck a deal with the government. “Every single worker on that site is a diplomat,” he said. “When (Australian) workers go on that site, we don’t have any rights to inspect.”Mr Hall worries the embassy will not be built to Australian standards and frets that “no one is checking it”. But a DFAT spokesman said China was required to comply with “Australian occupational health and safety requirements”. “A requirement to comply with ACT building standards, inspections and occupancy certifications has also been agreed,” the spokesman told The Sunday Telegraph. But the ACT’s building inspector has also been frustrated in his efforts to examine workplace safety drills and it is understood the matter has been referred to the federal agency, Comcare. Comcare did not reply to questions by deadline. 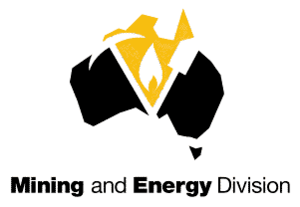 This entry was posted in News Archive and tagged Canberra, China, Comcare, Construction Forestry Mining and Energy Union, Dean Hall, Department of Foreign Affairs and Trade, Occupational safety and health, Sunday Telegraph by renaissancelearningfoundation. Bookmark the permalink.